Yes, wine lovers – its Wednesday and you know what that means? I’ve already had at least 3 bottles since the last RWW and have only managed to blog one of them! 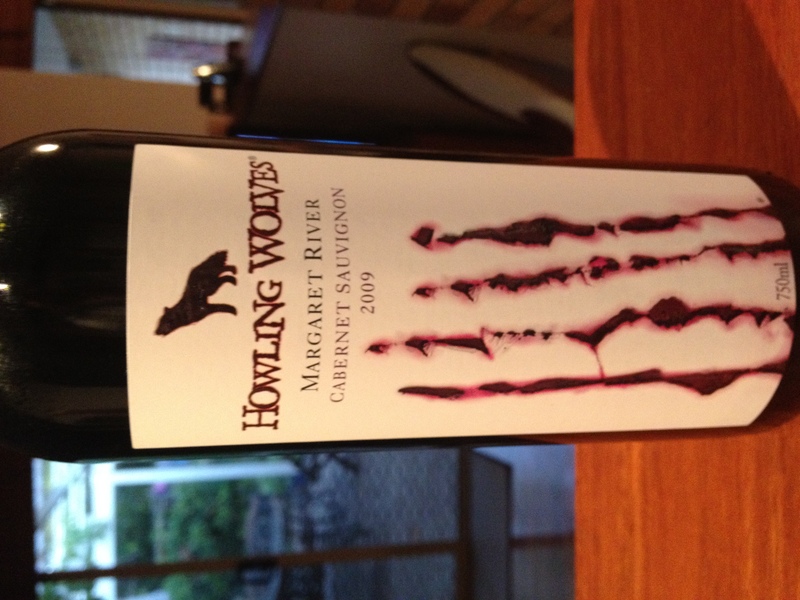 So, today’s red is a fine Cab Sav – locally (to Perth anyway) made in the Margaret River wine region just a couple of hours drive from where I live. Only a couple of hours? Thats commuting distance to Perth, right? *hic*So, this cheeky red – what’s it all about? Well, it’s a Cab Sav and regular readers might know that I’m not that fond of cab savs if I had ever bothered to mention this before. I’m not that fond of Cab Savs, I’m more of a shiraz or pino man. Margaret River is famous for its Cab Sav – it’s somewhat dry Mediterranean climate with very low mean temperature variation (only 7.6C variation between summer and winter) and predictable summer season offering good conditions for this otherwise finicky grape. A good Cab Sav is a medium bodied red, not too strong or overpowering, with none of the fruity bang of a Shiraz. Subtle and tannin is the name of the game. So, whats this one like? Appearance: A medium dark red, like a rich gothic panne velvet cloak. Its much lighter in colour than the Shiraz from last week. In strong light you can see the top few mm is translucent. Its a medium red, so that’s no surprise. Aroma/Smell/Bouquet: Tart berries, slightly peppery (which I wasn’t expecting), tannin, oak. Almost a herby aromatic smell like a woodwork shop – hard to explain – I’m not that keen actually. Finish: the finish definitely steps up to make itself known – dark, peppery, almost shiraz style but with way less of the spice. There’s lots of oak and tannin and it’s quite dry, certainly different, bold and holds for some time. Verdict: I’m not unsold on this – I managed to drink the bottle quite happily over a few days with no lack of enjoyment. Yeah, sure, its a Cab Sav – for me they are just too AOR, too ‘Journey’ or ‘Asia’ – but this was ok, I’d drink it again for sure. Score – 7/10 – It’s ok for a midweek drink, probably really good with lamb actually. Where did you find this wine?? I got it as a gift actually, but its widely available here as its a local wine. Plenty of Margaret River red gets exported to the US, so you might be able to fine it (or similar) if you googled your local online wine supplier? Not long until we will be wine tasting in your company. Margaret River here we come! Like the Shakespeare insult kit. We will have to make a wine tour day! Its ok to train the girls in the art of wine in their early teens, right? Love the label too … plus I glad to see that you are like me – in the minor of wine buyers as we like to try different things. BTW – I don’t believe this wine comes to the US. Hey – We celebrated RWW by going to a wonderful tasting! Its good to branch out occasionally! I don’t like to stray too far, especially as decent wine here costs an arm and a leg for some reason, but I’m learning the vinyards and valleys that turn out the good stuff! Hope you blogged your tasting – I’ll come check! No RWW this week due to time pressures – I have photos and tasting notes ready for next wednesday though – another Cab Sav too – wonders never cease!